Almost two years to the day that Caterpillar announced its financial backing for Yard Club, a peer-to-peer equipment rental company in San Francisco, the Wall Street Journal reports Cat has acquired the start-up. 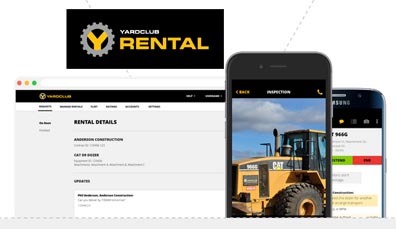 Yard Club was formed in 2013 as an online ordering platform focused on construction contractors in the San Francisco area to put their equipment up for rental when that company's vehicles were not in use. Cat's investment in the company gave Yard Club access to U.S. and Canadian Caterpillar dealers. At that time, Colin Evran, founder and CEO of Yard Club, said, “The sharing economy is changing the way entire industries operate. Our platform is at the forefront of that innovation in the equipment rental industry. Customers can access rental equipment with ease on the web and through mobile devices, while enabling fleet owners to earn income on idle equipment through peer-to-peer rentals." Yard Club has expanded its tech platform to include a SaaS model that allows customers to manage all the equipment they buy or rent on various digital devices. The Yard Club platform support inspection and maintenance management, dispatching, scheduling, and fleet visibility.